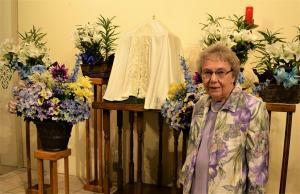 Florence Weigel stands at the altar of her home parish of nearly 60 years, Sacred Heart of Marshfield, where she currently serves as the sacristan. During a time when daily life was about deprivation and sacrifice, a baby girl named Florence was born to Joseph and Dorothea Heinzen of Marshfield. The year was 1933 and the United States was suffering the height of the Great Depression. As the manager of the local farmers co-op and father to a growing young family, Joseph Heinzen clearly felt the effects of those hard economic times. 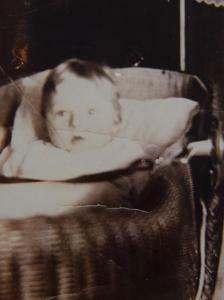 The experience caused him to move the family from town to a 40-acre farm when Florence was 9. The move would allow the family to become more self-sufficient. 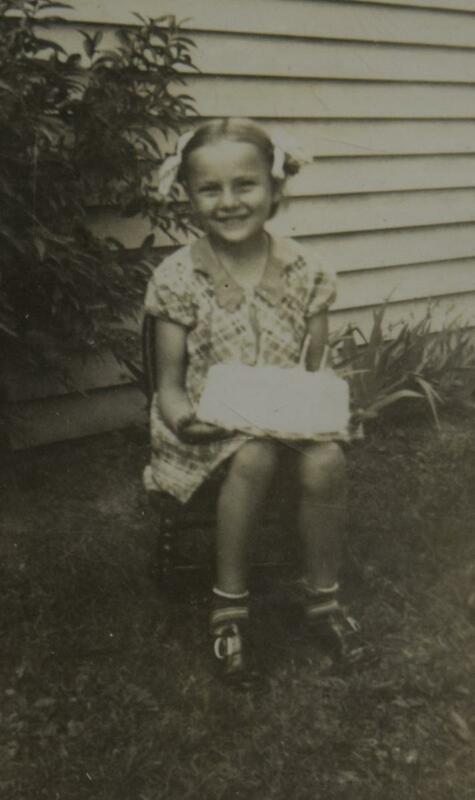 But to a young girl, it was simply her childhood and the nostalgic growing-up years. 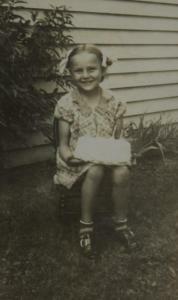 She fondly remembers life in the country with her five siblings. They helped feed the cows and chickens, gathered eggs and harvested fruit from the orchard. Along with canning and preserving fruits and vegetables, the children pitched in with house, yard and barn work. There was always something to be done and always some kind of adventure to be had. Looking back, Florence remembers her school years as “less hectic” and “more relaxed” than times today. In general, “people got along better,” she said, which she realized made sense because economic challenges brought people together, sharing everything and neighbors helping neighbors. Florence attended Columbus High School, becoming a member of its first graduating class in 1952. 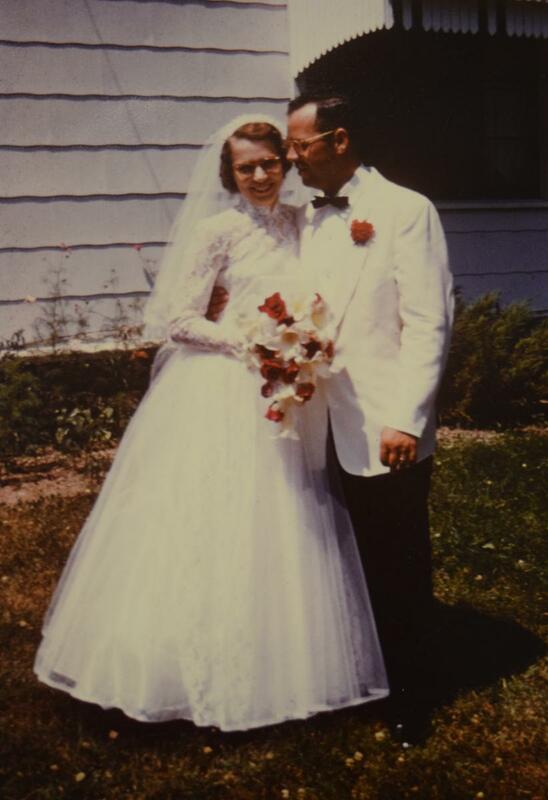 Her sister Jenette became a School Sister of Notre Dame and her brother Bob joined the Capuchins, but Florence followed the call to family life and married Walter Weigel in 1955. 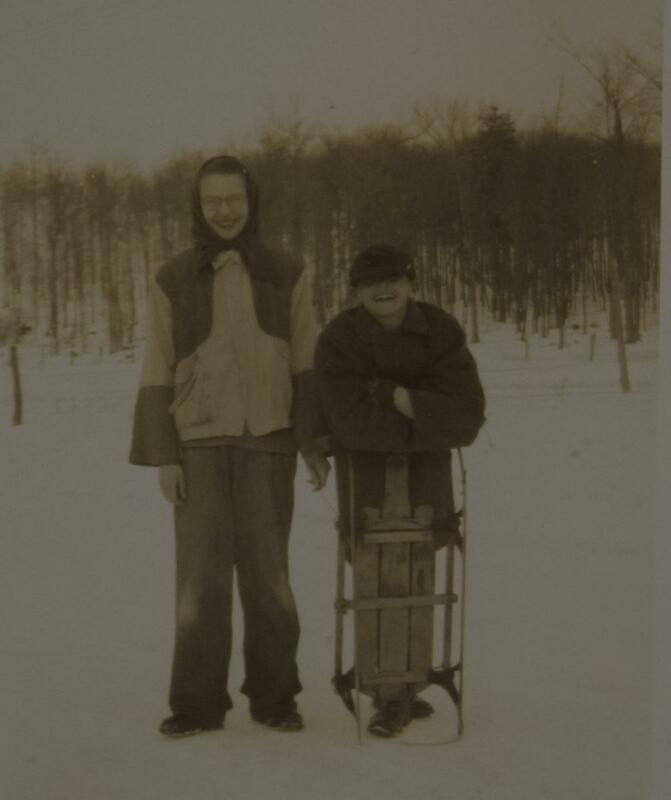 After high school, Florence’s father decided that she needed a job and hired her as a bookkeeper at the farmers co-op. Walter also worked for the co-op, which is where they met. Florence and Walter moved across town shortly after getting married, putting them within the boundaries of Sacred Heart Parish. There, they became members in 1960. Providentially, the church building that has now been Florence’s parish home for nearly 60 years shares its own beginnings with the same harsh economic years into which Florence was born. 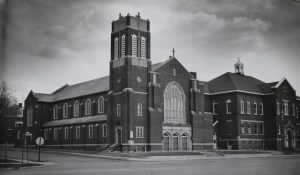 Sacred Heart Parish was founded in 1916. 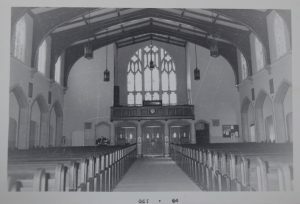 In its early years, the congregation celebrated Mass in a second-floor auditorium at the school. The church was built in 1932, and serves the community to this day. 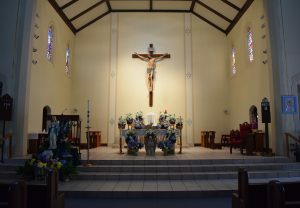 As the parish membership and student enrollment grew, a larger church building became necessary for the congregation, both to provide a proper worship space and to re-allocate the current space back to the school. But the timing of the proposed building plan came with the dawn of the Great Depression. A lack of funds meant delay, though the project had great support and enthusiasm, even in such dire economic conditions. “To Sacred Heart parishioners, their church stands today as a monument to their generosity, their love, their devotion, their faith. It stands today as a memoriam to those faithful and devoted members who gave so much of themselves in time, labor, money and prayers that the church of their dreams might come true. It stands today as a beacon of hope that the present and future members will continue God’s work in God’s church with the same heartfelt zeal, faith and devotion.” The above ode, penned in the parish’s 50th anniversary history, captures the very nature of the Sacred Heart story and legacy. But when decreasing construction costs during the Depression met the rising funds collected by the congregation, work on the new church commenced and the cornerstone was laid June 19, 1932. 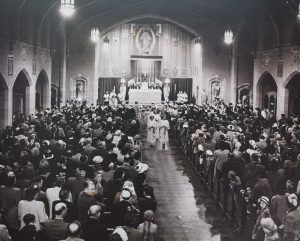 The beautiful Tudor-Gothic church was completed that fall and dedicated by Bishop Alexander McGavick on Nov. 11, 1932, as a beacon of hope in hard times. Florence and Walter had nine children, all of whom attended their parish school, which during that era enrolled 400+ students. 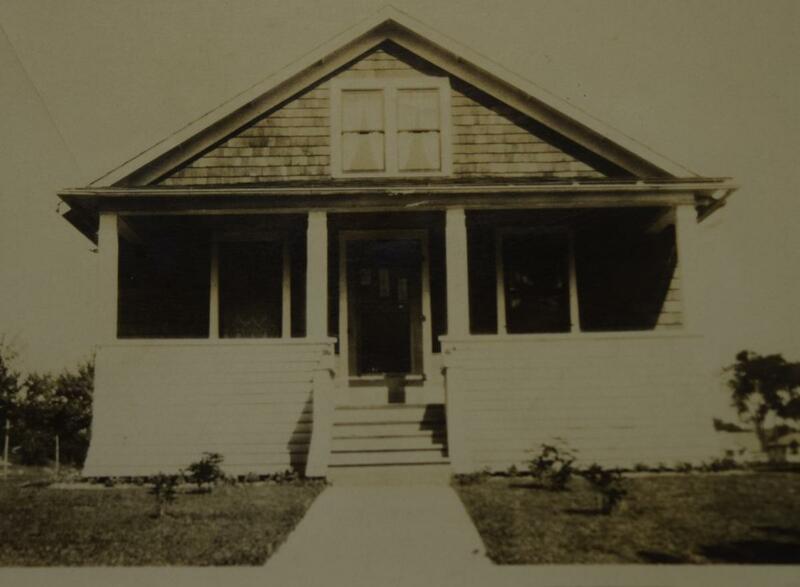 Florence tended home until all of her children went off to school. 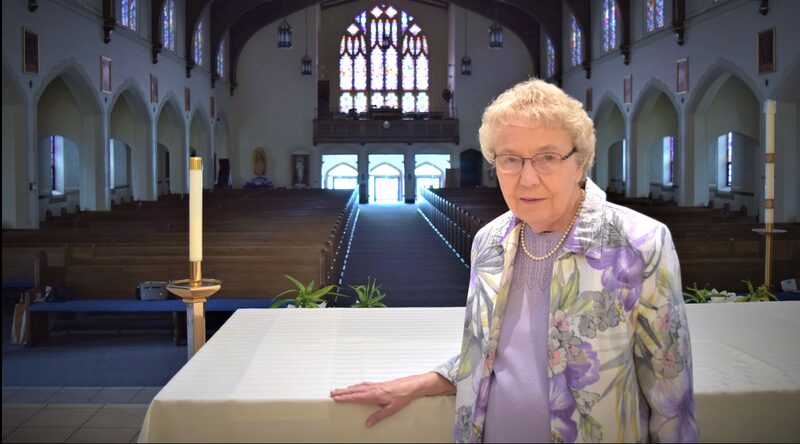 Being a trained nurse, she began a 27-year assignment at St. Joseph Hospital, retiring in 1999. Walter passed away in 1989 after a battle with lung cancer. These days, Florence continues to stay involved at Sacred Heart. Her weekly routiene centers around daily Mass and her Holy Hours. 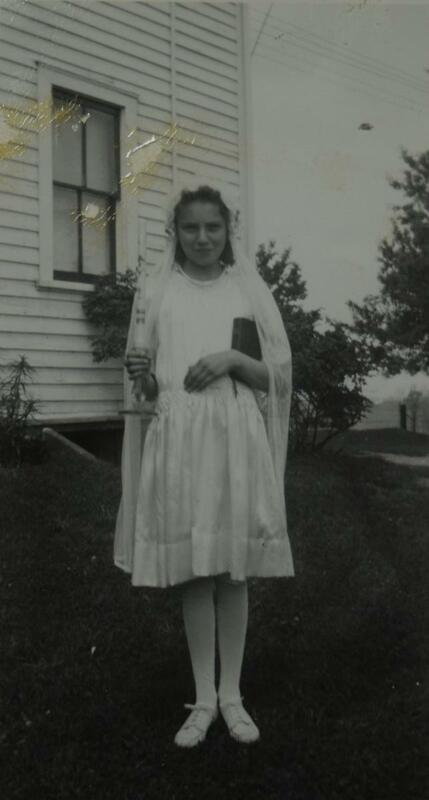 She prefers to serve quietly, behind the scenes as sacristan and launderer, homebound extraordinary minister of holy Communion and funeral meal-server, among other things, leaving her mark in her still, small way. 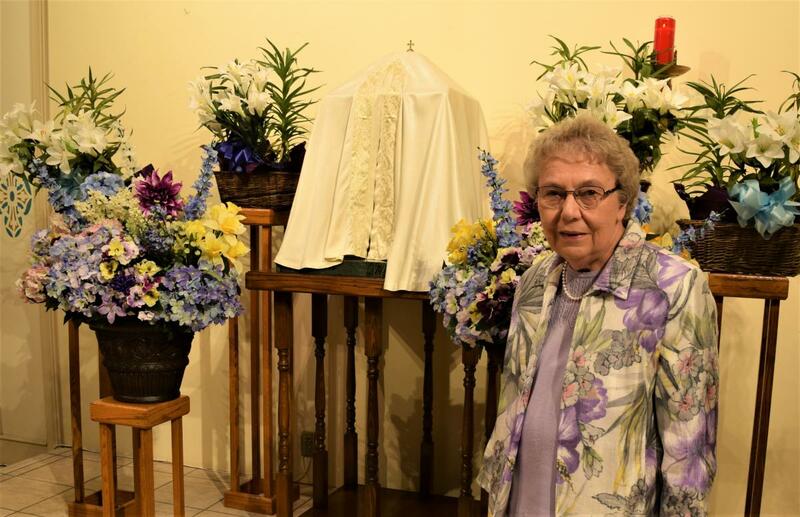 With the living faith of many dedicated members like Florence, Sacred Heart has continued to thrive in the times of want and the times of plenty. From its earliest days, the congregation has been a celebrated institution in the community.